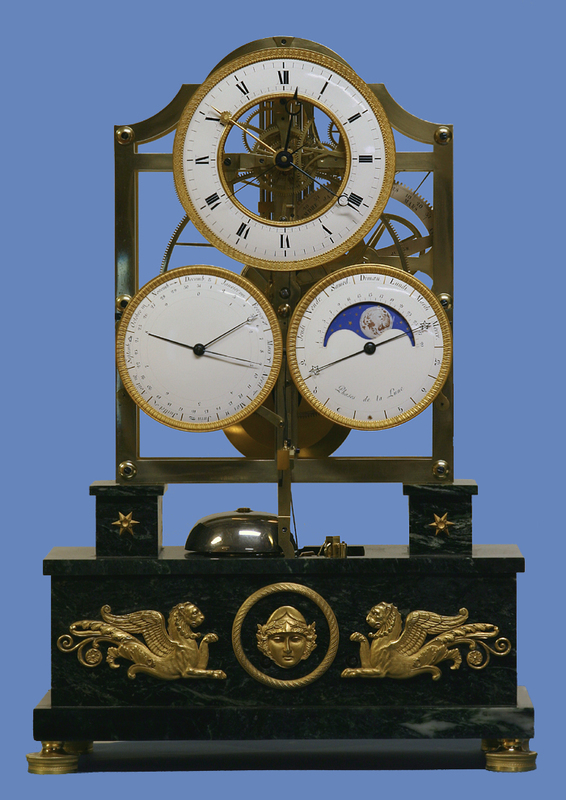 c.1820 French Variegated Marble, Ormolu and Polished Brass Fourteen-Day Skeleton Clock with Complications. 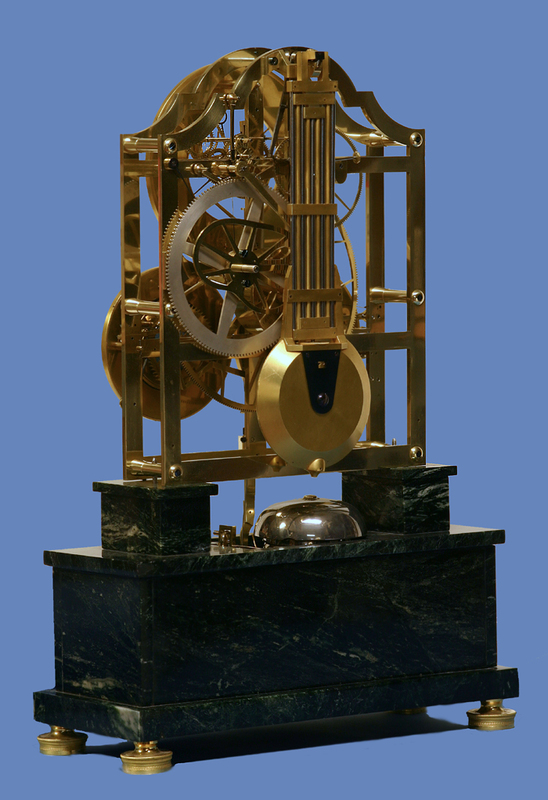 A very rare quarter-striking skeleton clock of exceptional quality with full perpetual calendar including year, equation of time and phases of the moon by the noted French maker Louis Thouverez. 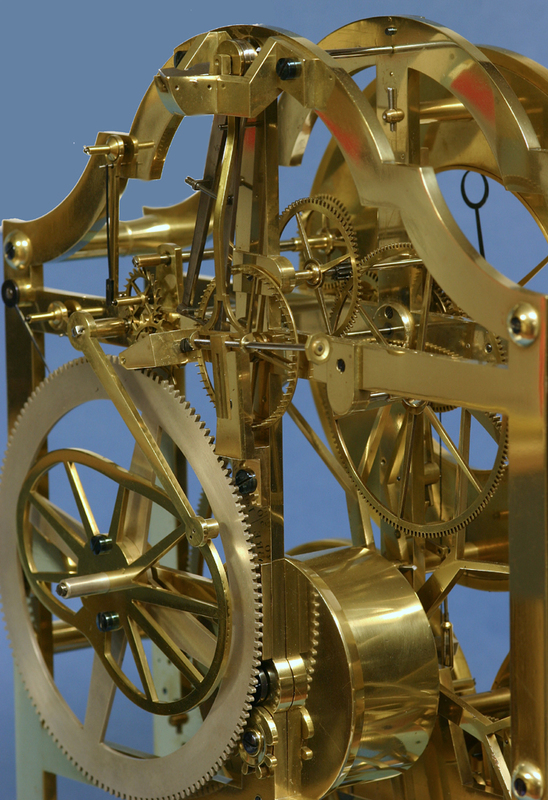 For a similar clock by Berthoud see: ‘Continental and American Skeleton Clocks’ by Roberts, pg. 23. 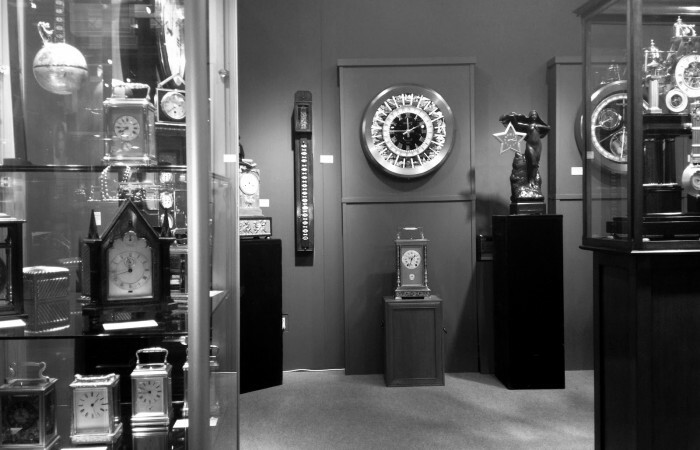 For the Berthoud clock at auction see: Christies, London, 7/95, Lot 338. 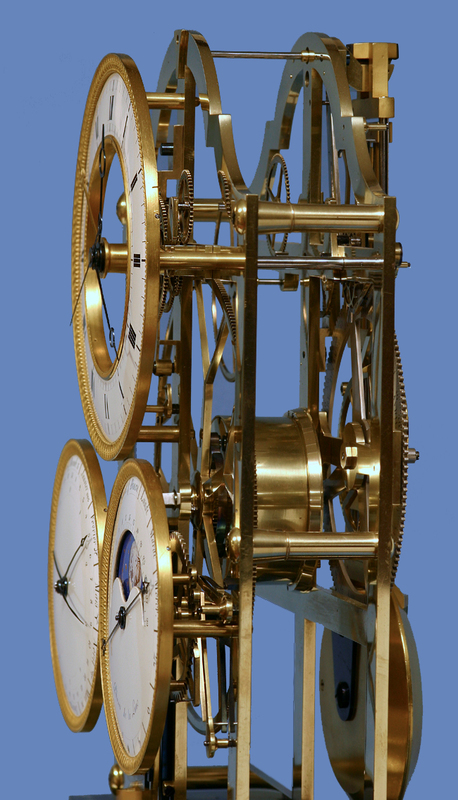 For a similar clock by Thouverez see ‘Continental and American Skeleton Clocks’ by Roberts, pg. 31 and ‘Skeleton Clocks’ by Collard, pg. 87.